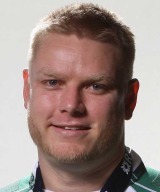 Born in Brisbane, Court progressed to international honours with Ireland following spells with Queensland Reds, Manawatu and Pertemps Bees, having joined Ulster in 2006. During his youth, Court was a top-class shot-putter. With his grandfather hailing from Limerick, Court was quickly drafted into the Ireland 'A' setup and his ability to play at both loose-head and tight-head marked him out as a player of worth given Ireland's limited front-row stocks. He made his Test debut against Italy in 2009 and made his first start against Canada later that year. In 2011, he travelled to the Rugby World Cup as part of Ireland's squad and also agreed a new two-year deal to remain with Ulster.